The Yate & District Athletic Club Half Term “Secondary Awards Scheme” is for School Years 6, 7, 8 and 9. In 2018, this event took place at Yate Outdoor Sports Complex from 9am-4pm on Tuesday 29th and Wednesday 30th May. The scheme is based on the English Schools Award Scheme. We ran this scheme over two days, as ten different athletic events have to be covered. Check back for details of the 2019 scheme. Our experienced, qualified coaches provide specialist guidance across ten events in a fun, relaxed style. 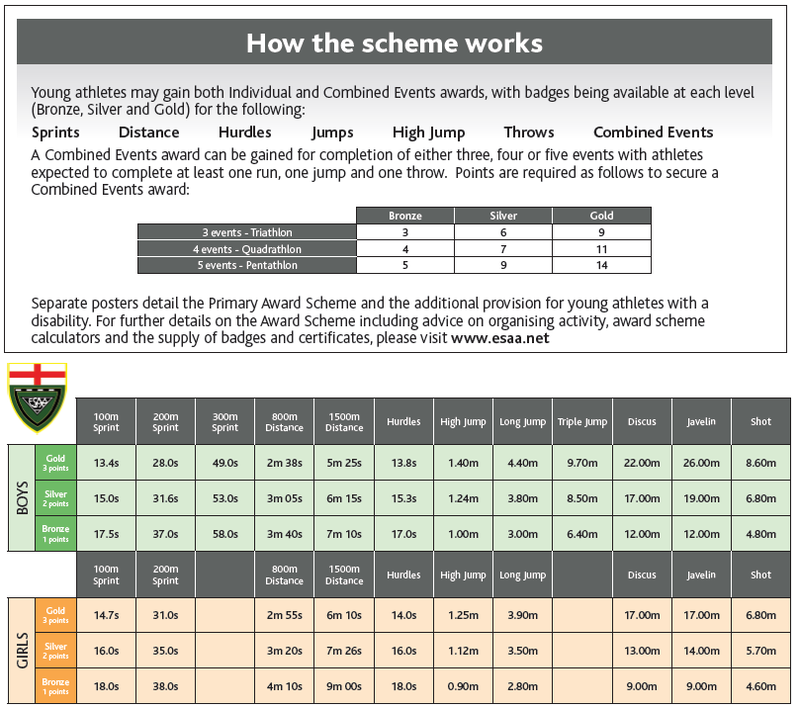 Every athletic event has a defined Gold, Silver or Bronze standard (see the table opposite). Every athlete will be invited to record a best performance in each athletic event. This performance will then be referenced against the standards to see what award has been earned. 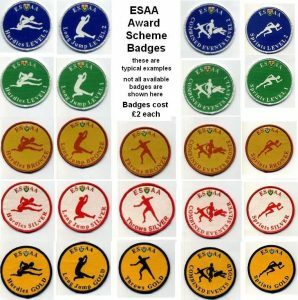 Young athletes may gain both Individual and Combined Events awards, with badges available* (Gold, Silver & Bronze) for Sprints, Distance, Hurdles, Jumps, Throws and Combined Events. 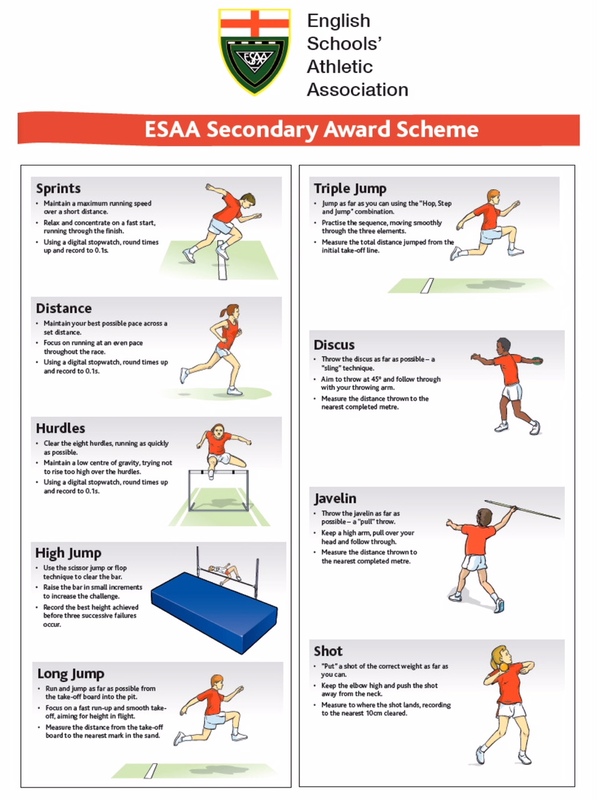 A Combined Events award can be gained for completion of three, four or five events, with athletes expected to complete at least one run, one jump and one throw. Yate & District AC will take all badge orders after completion of the second day. *Please note badges cost £2 each and are not included in the entry fee. Athletes are asked to arrive at 8:30am for an induction, followed by a warm up. They will then be split in to groups for the two days. Each day, every group will be rotated through four athletic events, before everybody comes together at the end, for a middle distance time trial. We will stop for lunch in the Club House at midday. Lunch will not be provided. Parents are invited to stay and watch the entire day from the cover of the stand, or to come back at 3:45pm and watch the last race of the day. A pair of running shoes (trainers). £20 per athlete (total for two days). 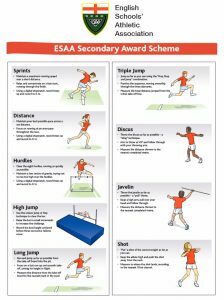 For the purposes of achieving awards, Year 6 athletes will be completing the day using specifications for Year 7 athletes. 40 Athletes maximum (We cannot run the two days with any more than 40, for logistical reasons). Orders for badges will be taken after the second day has been completed. 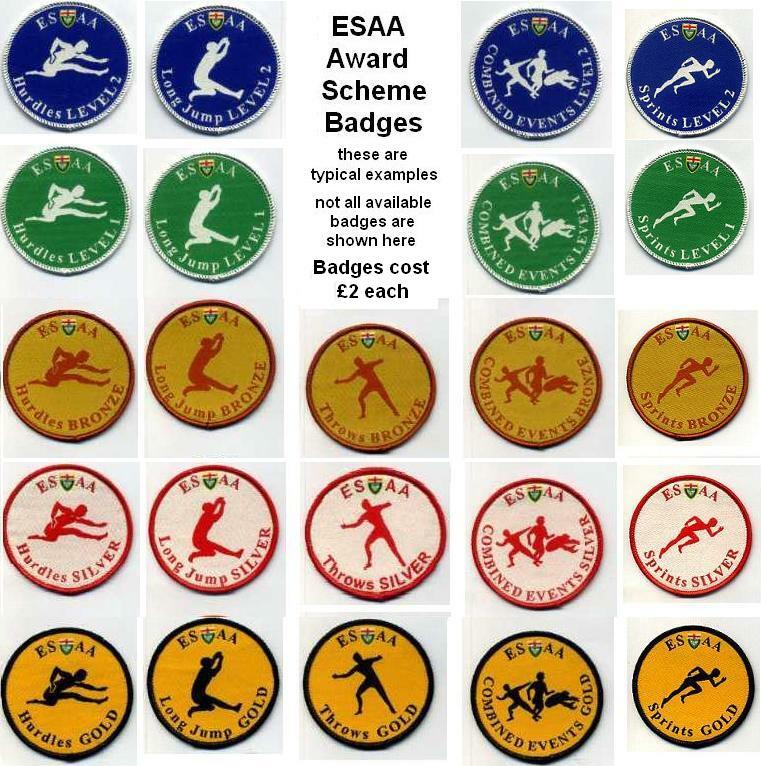 The cost of badges has not been included in the entry price. You will be informed when badges are ready for collection.